These materials are shelved in the Open Stack Room of the Central Library. Materials are located in Call No. order. University members will need a library card, staff ID card or student card. Visitors will be asked identification at the general counter. 【Reading in the Library】You are free to read any of these materials. 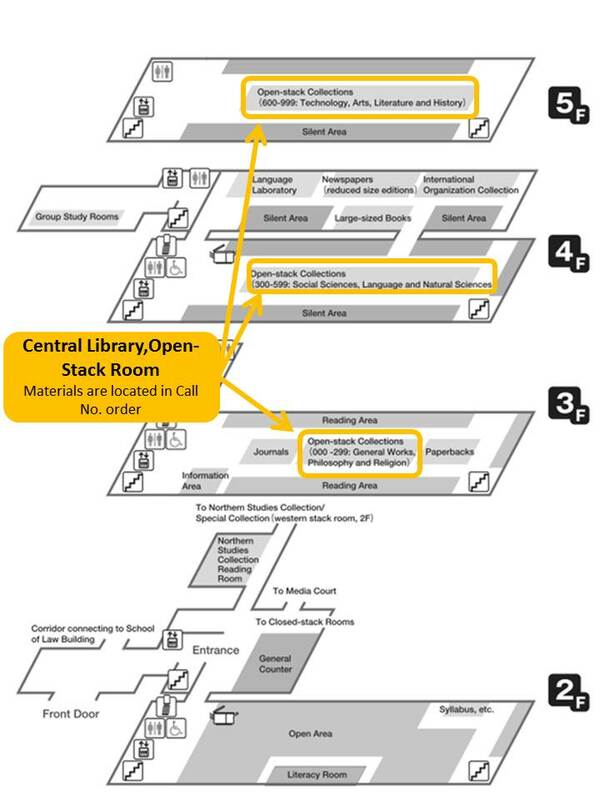 【Borrowing】Materials in the Ooen Stack Room can be borrowed by using the Automatic Book Circulation Machine). 【Photocopying】You can copy the materials yourself on the 2nd and 4th floors. Please make sure that you keep within the limits allowed by Japanese copyright law. For further information, please ask at the counter.